The government of Georgia may export marijuana for medical and cosmetic purposes, the Georgian online media IPN and Netgazeti reported. The Interior Ministry has confirmed the information. IPN reported that the Georgian Dream political council meeting on Monday discussed the topic and the initiative “push-forward by the Interior Ministry” was “green-lighted” by the head of the council, billionaire Bidzina Ivanishvili. The media reported that the Interior Ministry has already elaborated a draft and if the change comes into play Georgian budget will boost its incomes. The Interior Ministry told Netgazeti that the export issue is under discussion in the government. However, the body added that the sale of the drug by anyone in the country would be under strict punishment as before. Several members of the Georgian Dream confirmed that the export issue was on the agenda of the council meeting, while others said the Georgian Dream members only touched upon the verdict of the Constitutional Court in July, which made marijuana consumption legalized in Georgia. 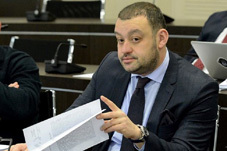 Giorgi Gachechiladze from the party said that issuing a license for those who will cultivate the marijuana for export will be under active control and the Interior Ministry will monitor the process if the changes apply. The European Georgia opposition member Giga Bokeria said that if the government allows cultivation of marijuana, then it should be legal for everyone, not only for the state. Marijuana is used in producing medicines for diabetes, Parkinson and other illnesses and in cosmetology. Akaki Zoidze from the Georgian Dream says that if Georgia allows the export, the country will export semi-products of marijuana, not the plant itself. The Ministry of Internal Affairs of Georgia released information on limitations to consumption of marijuana a couple of days ago, following the Constitutional Court of Georgia’s decision that removed administrative punishment for marijuana consumption. The draft law, which needs to be approved by the parliament, prohibits marijuana consumption in public space, in public transport; in the presence of a minor; within, and on the property of educational institutions, as well as venues designated for individuals aged under 18; at public gatherings for minors, and within a certain radius of them; during work activity for certain professions (examples include medical jobs, teachers and civil servants).